The Middle East is at the forefront of the changing global chemicals industry due to the ongoing commoditization of specialty chemicals and the advent of new business models overcoming the challenging portfolio dynamics, complex supply chains, and somewhat unwieldy manufacturing and sales requirements. The industry is experiencing a number of structural inflections guided by industry regulations, globalization & fluctuating raw material prices. Recognizing that chemical companies have varying needs in dealing with the use of hazardous materials, Soltius helps you to reduce risks, save on IT operations, bring down infrastructure costs, realize gains from mobility, analytics and integration & leverage tools of social collaboration. Our solutions adapt the latest technology and analytics to help improve everything from chemical manufacturing and supply chain management, to sales and CRM. Soltius is a known name in the Sustainability and Environment, Health & Safety (EHS) solution space. Over past decade, we have built a mature practice of both HSE domain and IT experts who have worked with many large organizations for supporting them with EHSM solution consulting, implementation services, training and also helping them design their long term sustainability roadmap. We are one of the SAP strategic GTM partnerssolution development, testing and contributing partner around this solution space. We have strong footprints across geographies/industries and have worked with some of the well-known Chemical majors. Soltius help chemical companies to achieve increased margins through better understanding of customer needs, minimized production variations, reduced operational costs, and improved product quality. We helps chemical companies innovate and build supply chain processes to support expansion into new growth economies. Soltius implements solutions to address the specific challenges of the chemical industry by helping enterprises to improve performance, comply with industry rules and regulations, maintain strictly to environmental and safety norms, take advantage of better asset utilization and improved production schedules. Combining our process capabilities, including process reengineering with analytics and technology, we help clients intelligently unlock revenue opportunities and improve operational effectiveness. Soltius has developed ChemOne, an SAP Business All-in-One solution for small and mid-sized enterprises in the chemical industry. 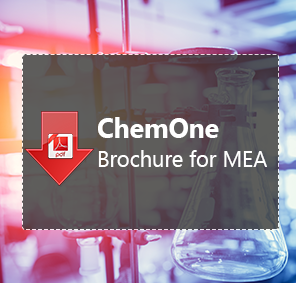 As a comprehensive, powerful, and prepackaged solution, ChemOne enables you to respond quickly and decisively to dynamic market conditions.